Landing in Paris pick up your brand new 2018 Audi S5 Cabriolet rental in flashy tango red. With the sun shining turn up the volume on the 3D sound system and roll the top down as you embark on your 2-day journey around the French countryside. 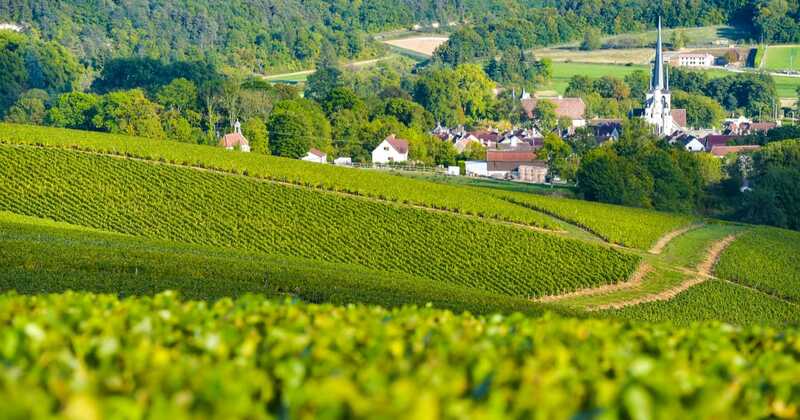 Commence your excursion west towards the Champagne region best known for the sparkling wine that bears the same name. First stop is Épernay, about an hour and a half drive from Charles de Gaulle Airport, turn right out of the airport, left on N3, right on A140 to the A4 and then head northeast to exit 2 or use Audi’s smartphone interface to access your navigation features and guide you for a smooth sailing ride. Épernay is home to the world’s most celebrated champagne houses and it’s here you’ll find the perfect place to tour cellars and sample the bubbly beverage. 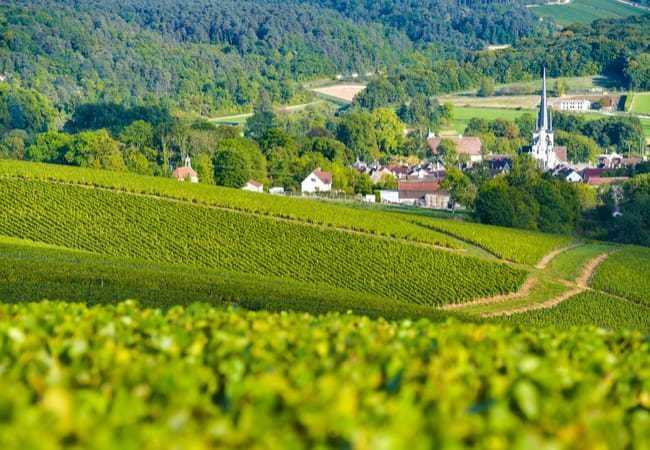 They are the self-proclaimed capital of champagne and beneath the Avenue de Champagne is over 110 km of subterranean cellars featuring over 20 million bottles. Visit Moët et Chandon at 20 avenue de Champagne, world renowned and probably most famous for its Dom Pérignon, it has almost 30 km of 200-year-old tunnels. Book ahead for the Private Grand Vintage Visit which includes a one hour tour, followed by a 30-minute tasting of both Vintage 2008 and Vintage Rosé 2008 and learn why the steady temperatures and humidity are beneficial to storing and fermenting champagne. After move over to La Grillade Gourmande on 6 rue de Reims in Épernay for some lunch and enjoy the seasonal menu of French specialties. Cruise through the winding roads and handle curves with ease in your Audi S5 Cabriolet as you navigate through the beautiful Parc Naturel Régional de la Montagne de Reims. The park was created in 1976 and includes the remarkable ‘Faux de Verzy” trees and a vast array of vineyards. It’s here you will find the most unusual bar called Perching Bar. A treehouse located 6 meters above the ground will make you feel like a kid as you sit on a swing enjoying exceptional views of the valley while sipping on champagne. When playtime is over jump back in your convertible car and zoom off to Reims, the traditional crowning site of French kings and another important center for champagne production. Wander around the city and catch a glimpse of the gigantic Gothic cathedral Notre-Dame de Reims. Be sure to try a Biscuit Rose, one of the oldest French biscuits and one of the last genuine before revving the engine for a 45-minute drive west to spend the night in the exquisite Château de Fère. The Château de Fère is a castle, converted into a hotel in 1956 features an outdoor swimming pool, tennis court, ping pong, badminton, bocce ball and bicycles with 70 hectares of forest to explore. Choose the Balneo Suite situated under the roof of the castle with views across the ruins and surrounding countryside. You can relax in your bath with hydromassage jets and head down to their spa and pamper yourself with a scrub and massage. Take dinner at the château’s gourmet restaurant where it will be a feast for your eyes and your tastebuds. Their outside terrace affords an uninterrupted view of the thirteenth-century ruins and is the ideal setting to sample one of the tasting menus. Menus include appetizers such as Foie Gras and rhubarb, mains with duck breast and fennel and desserts like the matcha tea apple. Each offers varying amounts of appetizers, fish, meat, cheese, and dessert. Upon checkout drive on the D21 turning left on N2 and continuing on D1324 following the signs to Chantilly. Visit the Château de Chantilly, a castle from the 16th and 19th century and entered by passing through a wall of decorative stone arches into a courtyard that leads to the main buildings. Onsite is the Musée Condé, housing the finest collections of paintings after the Louvre. Bask in the garden with its numerous fountains and stop in the café for some strawberries and famous Crème Chantilly. Next take a 2-hour drive along the N31 to Rouen, the capital of the region of Normandy and located on the Seine. Have lunch at Gill, Rouen’s only 2 Michelin star restaurant. Try the chef recommended Brittany lobster, complete with glazed potatoes and onions. Walk off the hearty meal as you explore the town full of medieval charm and half-timbered houses. Its cathedral is recognizable as it’s featured in a popular series of Monet paintings that are on display at the Musée d’Orsay in Paris. While in Rouen you can also visit the ruin of the great hall at Château de Chinon, where Joan of Arc was tried and the only remaining intact tower has been turned into a museum dedicated to her. Finishing sightseeing turn gears and drive your Audi on the A13 to the A29 towards the coastal town of Honfleur and stay in the magnificent seventeenth-century inn, Hotel La Ferme Saint Simeon located at 20, Route Adolphe Marais. Check into one of their splendid suites with rooms fit for kings affording breathtaking views of the sunset over the mouth of the Seine. Feeling relaxed and rejuvenated after a busy day of touring take dinner onsite and try the tasting menu. The menu offers French delights such as organic oysters from Chausey Island on a bed of potatoes, cress sauce and iodized emulsion, along with pigeon from Mr. Delaunay house in Croisilles, roasted and served with braised lettuce, simmered sweet garden peas with parmesan cheese, potatoes, and grilled pistachio espuma. After, unwind in the 1930s English-inspired smoking room styled with club chairs and a piano to set the mood. Sample some aged Calvados, an apple brandy from the region and partake in a cigar of your choice before getting a good night’s rest. Start the day with breakfast and a coffee before your journey back to Paris. Take the longer route for about three hours on the back roads passing through the Parc Naturel Régional du Vexin Français. Continue onto the N104 back to Charles de Gaulle Airport bringing the Audi S5 Cabriolet hire to a rest before boarding your flight home.